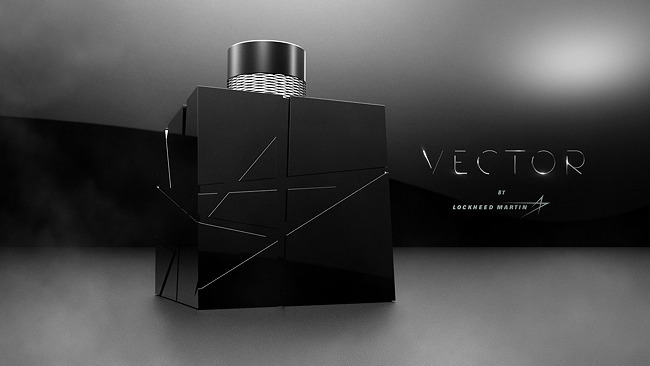 On April 1, Lockheed Martin announced that they had created a perfume that recreated the smell of space: "blends metallic notes... with a sterile feel, balanced by subtle, fiery undertones that burn off like vapor in the atmosphere." 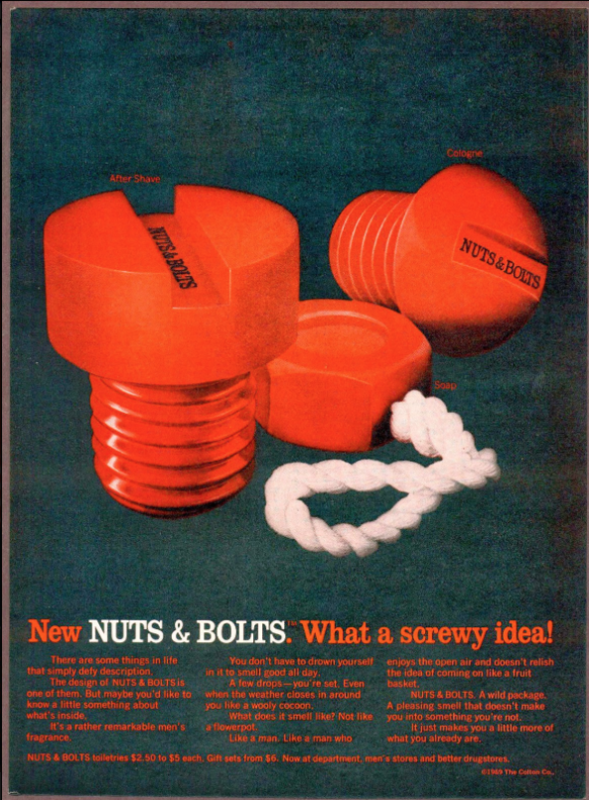 The timing of the announcement indicates it was an April Fool joke, except that Lockheed Martin really created some of this stuff, sent out samples of it, and is giving away bottles of it to people who sign up on its website. 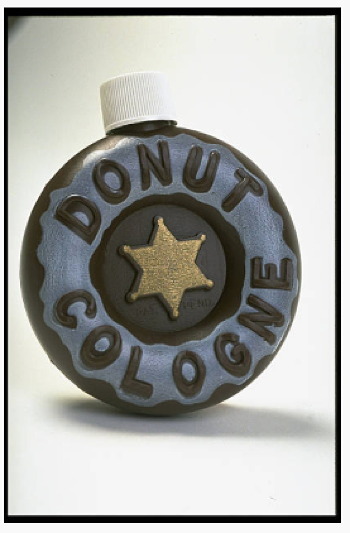 Which I think makes it a legitimate addition to our ongoing exploration of weird fragrances. 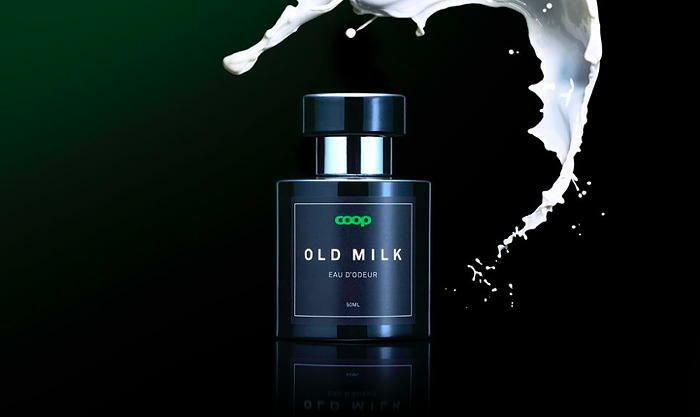 It recalls the moon-smell fragrance created by French designer Barnabé Fillion. French perfumier Etat Libre d'Orange announced earlier this year that it would launch a perfume made from the amount of waste that is left over from the industry's process of fabricating perfume. 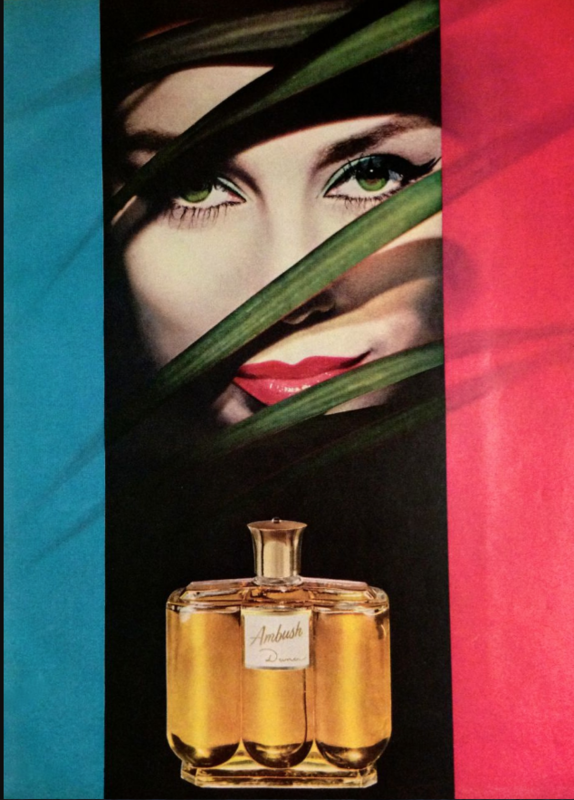 Now it's here: a luxury fragrance named "I Am Trash: Les Fleurs du Dechet." 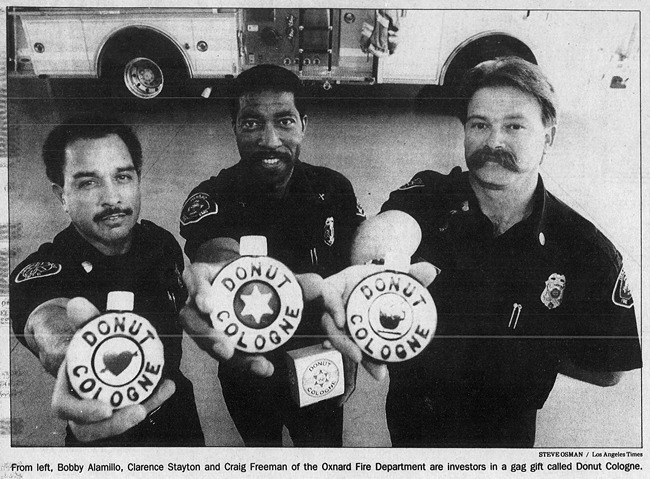 "We were coming out of a fire one night and we walked past this policeman who smelled like donuts. We were like, 'Wow, we love that smell.' 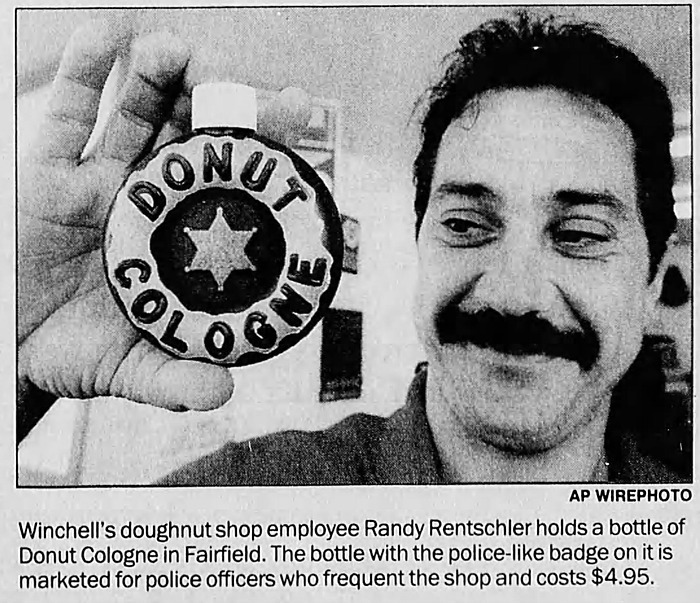 And we started laughing that cops hang out in donut shops so much, they actually are starting to smell like donuts." 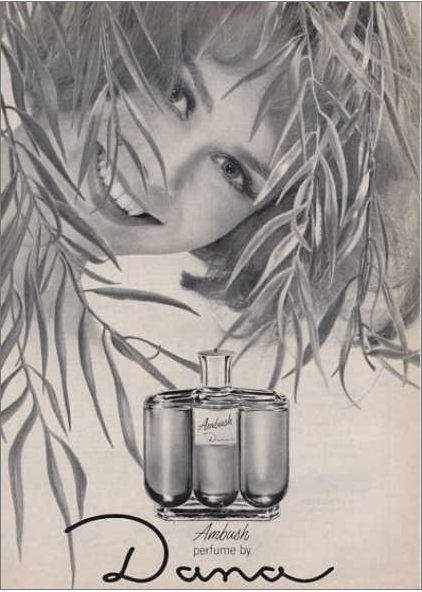 Apparently, women who wore this perfume were inclined to hide behind vegetation--then presumably leap out upon their prey. 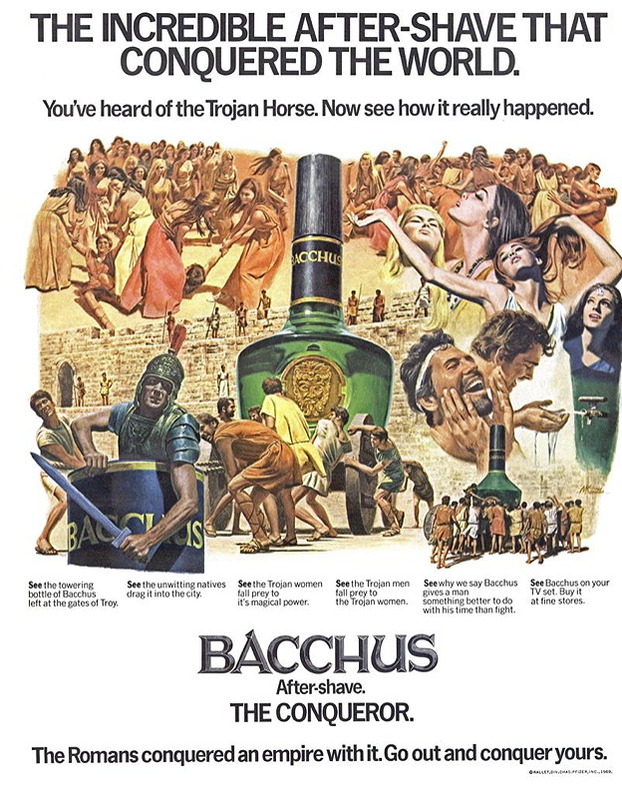 History and description of perfume here. 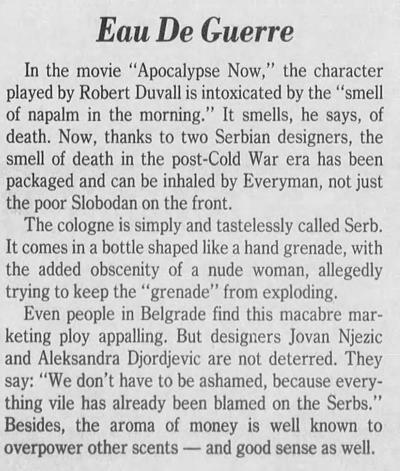 In the midst of the Bosnian War, two Serbian designers came out with "Serb" the cologne. I can't think of any other cologne inspired by a war. 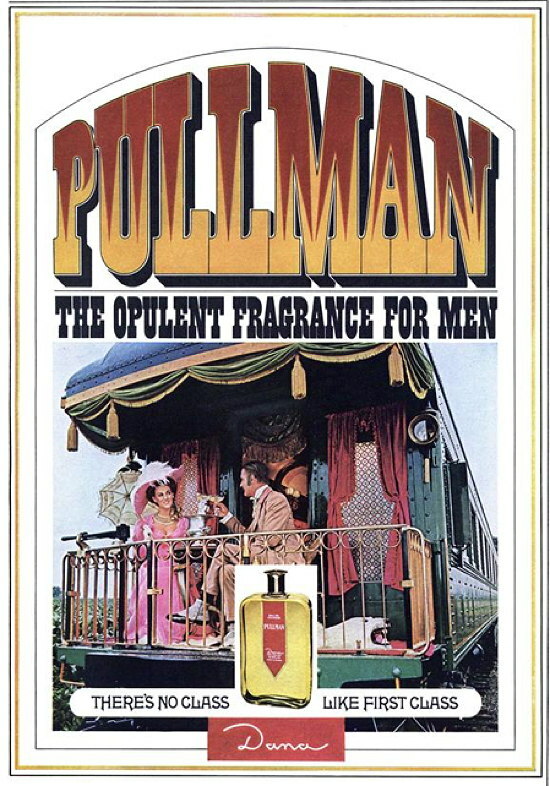 For the man that wanted to smell like a train. Travel in the best circles... go first class, arrive in style with Pullman, Dana's great new luxury fragrance for men! Pullman puts you on the right track to an enlightening new experience in good grooming. Use it without reservation... Pullman's subtle scent underscores, never overpowers your masculine assurance. 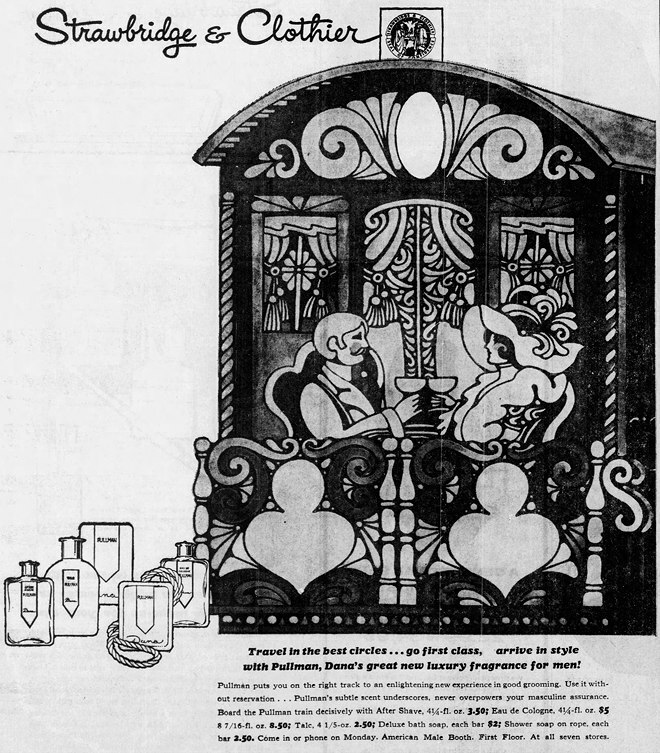 Board the Pullman train decisively with After Shave... Eau de Cologne... Talc... Deluxe bath soap... Shower soap on rope. 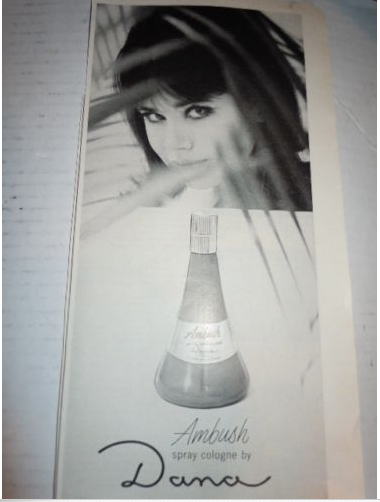 Someone has a bottle of this stuff for sale on eBay, if you wanna try some 50-year-old fragrance. Only $180! 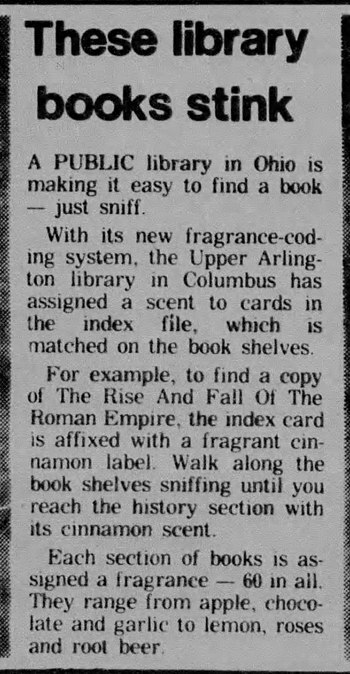 In 1974, the public library in Upper Arlington, Ohio added scratch-and-sniff scents to its card catalog. 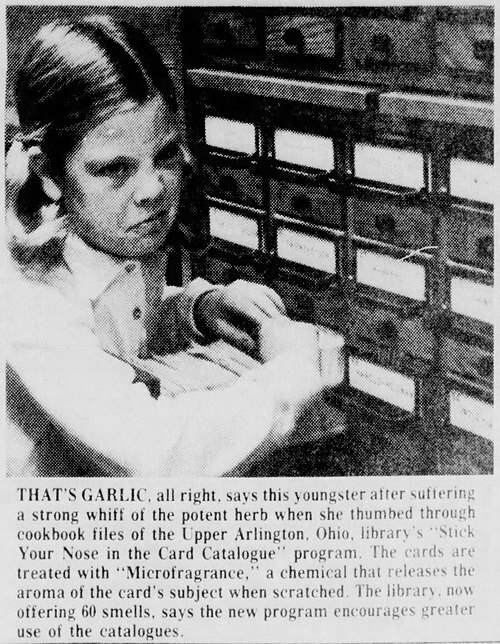 They called it the "Stick Your Nose in the Card Catalogue" program. The idea was that the card in the catalog would have a scent, and then the book on the shelf would have a matching scent. So you could find your books by smell. There were about 60 scents in total, including apple, chocolate, garlic, lemon, roses, root beer, leather, pizza, orange, strawberry, candles, pine, cheddar cheese, clover, and smoke. Unfortunately, the UA Library no longer has this catalog, and has not had a physical card catalog since around August 1989. We aren't sure what exactly happened to the scented catalog, but we guess that the cards eventually lost their scent over time, but remained part of the catalog until it was decommissioned. 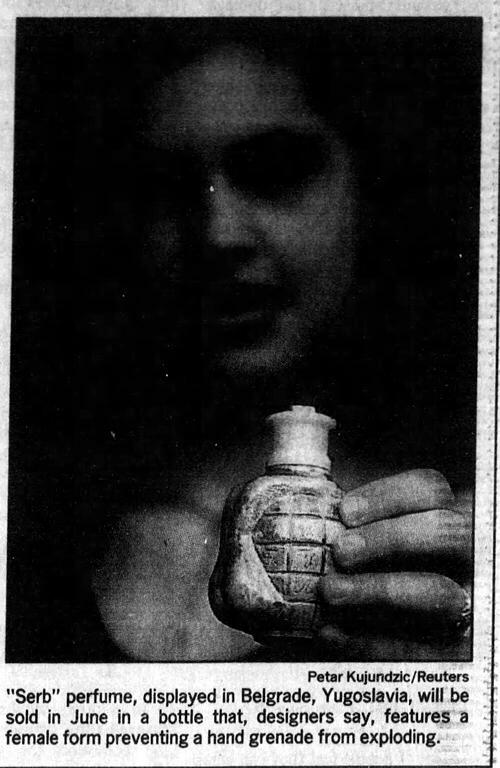 And they also emailed me a news clipping about the catalog (in extended, below) from the local Upper Arlington paper.